Pretty much everywhere you look these days, some education expert is talking about the importance of STEM—you know, Science, Technology, Engineering, and Math. One of the most popular STEM categories, especially among kids, is computer coding. My own five boys are obsessed with the workings of their favorite online games and apps, which makes learning to code a natural next step in their learning. 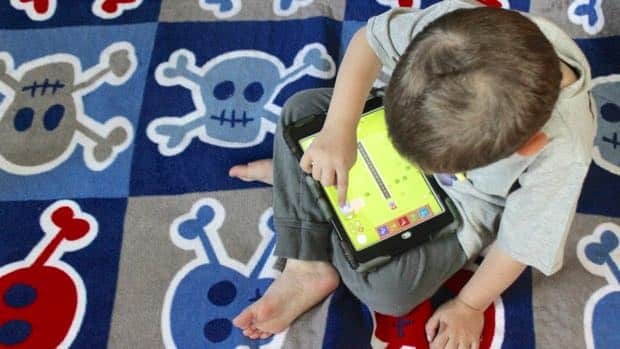 One of the best, easiest and cheapest ways to get your kids started with coding is with an app, but the sheer number of kid-friendly coding apps can be pretty overwhelming. My five favorite coding apps for kids teach basic coding skills across a variety of age ranges and skillsets—and yes, they’re all budget-friendly. What’s more exciting than racing go-karts? For the little ones this app is designed for, not much. Code Karts uses a series of logic puzzles to help kids “debug” their virtual go-karts. 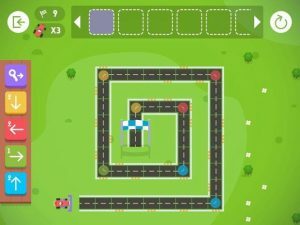 An appealing option for four- to seven-year-olds, Code Karts uses a series of logic puzzles to help kids “debug” their virtual go-karts. The simple nature of this app helps prepare tykes for the language of code before they actually start using it to create programs. For variety, kids can toggle between Classic (play alone) or Competition (race the computer) and use code direction “bricks” to get their go-karts to the end of the game. The price: The trial version of Code Karts offers 10 levels for free, while the full version (available as an in-app purchase) sells for $1.99. You can download Code Karts on the App Store, or learn more at Edoki Academy. Colorful, lovable characters form the bedrock of CodeSpark Academy. 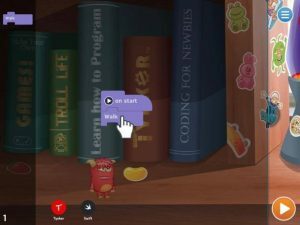 This super-engaging and completely visual app teaches basic coding concepts—everything from sequencing and loops to Boolean logic and sorting—without words, making it an ideal choice for pre-readers and ESL students. 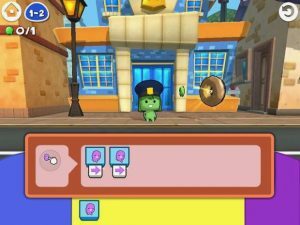 Highlights include unlimited coding challenges and a “game maker,” a series of pre-formulated code outlines to help kids personalize their own games. The price: CodeSpark Academy comes with a free 7-day trial. After that, plans cost $7.99 a month and allow you to track the progress of up to three children on one account. Download CodeSpark Academy on the App Store, or learn more at TheFoos.com. The highly respected Scratch programming community inspired ScratchJr, a more elementary version of the popular block-based learning system. ScratchJr is geared for ages 5-7, but even older kids will find it enjoyable and addicting. ScratchJr is geared for ages 5-7, but even older kids will find it enjoyable and addicting. 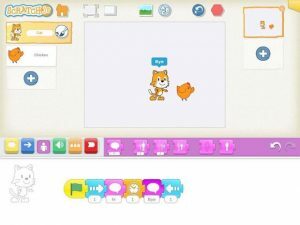 Scratch Jr. uses story creation to help teach basic code principles. Parents who would like to give their kids extra learning challenges may find this guide from No Starch Press to be a useful companion to creativity. The price: Scratch Jr. is a collaborative project between many high-profile universities and companies, including Tufts and Lego. Because of the level of commitment that has gone into its development and maintenance, it continues to be free for users of all available platforms, which includes iOS, Android, Chromebooks, and Fire Tablets. You can download ScratchJr here, or learn more at the ScratchJr website. Aimed squarely at the 7-and-up crowd, Tynker is best known for its Minecraft mod activities. Young coders will enjoy Tynker’s collection of more than 200 puzzles and games, coding tutorials, and customizable game templates. Tynker boasts more than 200 puzzles and games, coding tutorials, and customizable game templates. 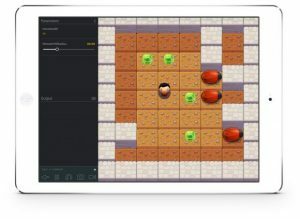 Perhaps the most exciting feature of the Tynker app is the “connected” play mode, which helps kids learn how to build apps to control their own devices, including select models of robots and drones, as well as Philips Hue and Lux personal lighting systems. The price: Free! Additional courses and play modules can be purchased for use on a PC or Mac, starting at $8 a month per child. Click here to download Tynker, or get more information on all the plans at Tynker.com. Is your teen ready to build games or apps using real coding language? Let ’em loose on Codea, an iOS app lets kids program in Lua, a popular programming language, with help from some simple student-friendly tools. Codea demands a basic understanding of code, making it most appropriate for high schoolers. Codea demands a basic understanding of code, making it most appropriate for high schoolers. The app boasts an impressive reference page for many of the commands, but budding programmers will learn best when they just jump in with Codea and start trying (and failing). For additional guidance, don’t forget to check out the official forums. The price: One of the more expensive apps available, Codea costs under $15. But considering it’s a one-time purchase, with no additional membership fees to shell out, it’s a modest investment. Download Codea here, or learn more at Codea.io. As you’re researching coding apps for kids, you’ll hear the term “brick-based” tossed around a lot. So-called brick-based coding apps let kids work with pre-built command codes, or “bricks.” For example, one brick might contain the code for “move 5 steps,” while another has the code for “change costume.” Kids build their programs by dragging and dropping these bricks into place. Junior coders will get instant gratification watching their creations follow their commands, and they’ll learn how to troubleshoot—or “debug”—their programs by reordering their code bricks. As a parent, I think kids need programming skills to compete in a tech-centric society, but I don’t want their eyes glued to their iPads all day. Monitoring screen time of any kind is important, and coding should fall into that daily or weekly allotment. When kids get older, you can sample additional languages by playing around on websites such as Kahn Academy and the numerous Hour of Code partnerships online. After trying a few, kids may just gravitate to the code of their choosing.